Starting today, Google began rolling out updates to the new Contacts Preview. This new feature comes in the form of a small email icon which allows users to email their groups right from the new Contacts Preview screen. Please note, not all people have seen this feature and some people are reporting that it is only available for some of their groups and not all of them. 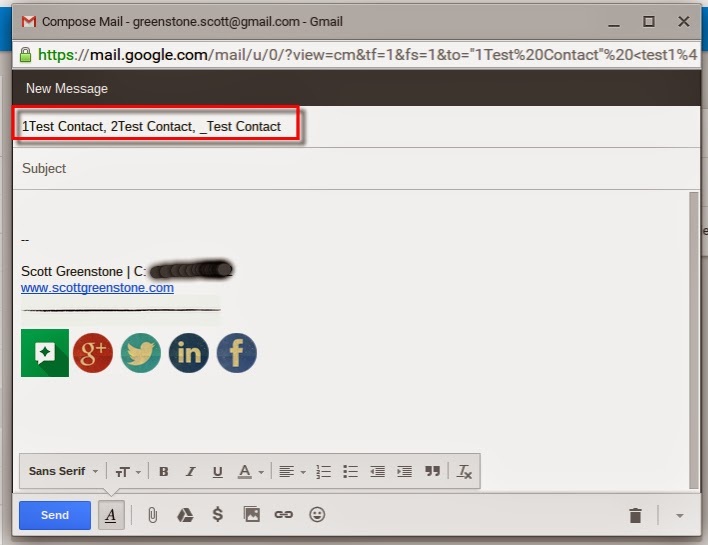 Clicking on this button will popup a Gmail message window with the email addresses for each contact in the group listed in the To: field. This is only working with Gmail at this time, and not the Inbox by Gmail recently introduced. There are still some features in the new Contacts Preview that are lacking, but specifically to Group Emailing, it seems, there is no ability to select which email for a contact is included in the group. Current functionality limits the group membership to the first email listed in the contact.